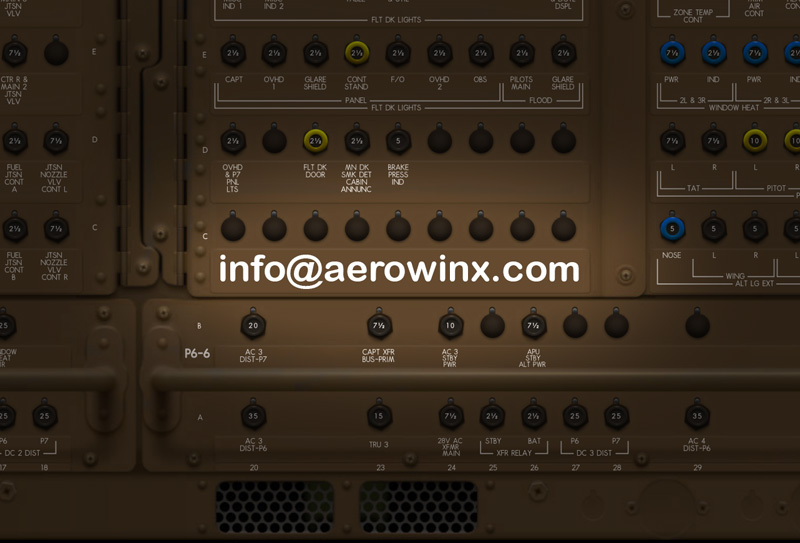 PSXonMCP2 interfaces the VRinsight MCP2 Boeing type with Aerowinx PSX. Changing the speed of your 747 or dialing in the minimums has never been as easy as before (at least if you haven't used a HW MCP with PSX ). You also get the read-outs you'd expect from your faithful metal bird. It is only available for Windows machines that support .NET Framework 4.5, that means Vista SP2 and up. All functions are hard-coded and not user-configurable. Hardy for making the best simulator ever. It is simply amazing and inspired me to do some programming of my own again. Michael (mikeindevon) for his XView plugin. Although some want to fly without eye candy, I like it too much. Carl (cavaricooper) for being my Alpha tester and giving me the idea of using the User buttons of the MCP2 for EICAS pages. 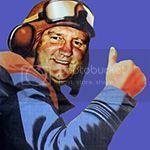 And everyone else on the forum, this community is really helpful and a treasure trove of aviation related knowledge. Included is a short manual that explains the configuration and usage of the MCP2. Values for Speed, Heading, Altitude and Vertical Speed now show above the respective knobs as far as the LCD display allows that. That sounds wonderful. I wish I could take advantage of it, but sadly I was an "early adopter" so I bought version 1 of the VRinsight MCP combo. I believe that the display capacity is the only significant difference between v1 and v2: is there any hope at all that you might be able to help those of us with the previous version? As I had to reverse engineer the serial communication protocol for the MCP2 I'm not sure if the MCP1 is the same. I uploaded a quick hack - disabled the check for version 2 & the main display. Configure like the released version. No guarantees though and I don't have the time or the hardware to debug this if it doesn't work. Sorry. I get the "Connected to PSX server!" message, but unfortunately none of the controls seem to have any effect (other than the fact that rotating the SPD or HDG or ALT knobs changes the main Combo display, although the display doesn't reflect the current PSX values, and nothing changes within PSX). Also — when I operate the controls, the Rx LED flashes, but not the Tx. Many thanks indeed for trying, and for your sterling efforts. Many thanks for doing this, i have been waiting for it, so thanks for your hard work. I am unable to open the zip file, tried a few times. Can anyone else open it? Can anyone else open it? working fine here. I used 7-zip to open it. It is out of testing, thanks to Carl. If you'd put it on the Add-ons page that would be awesome and "Bernd" suffices. As you wrote: "It was worth a try." Thanks for understanding. I created the zip with 7-Zip as FBO guessed. Checked to download and tested the zip, it is a-ok. So please use 7-Zip to unpack it. Working fine now. Many thanks. Awesome work. Glad you got it sorted out and that you like it! Version 0.13 uploaded, see first post. Ronny - just checked. The file has no errors. Please try downloading again and as already mentioned, use 7-Zip to unpack. I do not have the MCP V2 hardware but I am seriously considering buying the MCP V2 hardware just to run with the software from Berndo. I would be eager to find out others experience using the MCP 2 Hardware and software combination before my investment. For example how much functionality remains and how usable is the combination. I still have and use to use the VRinsight MCP Panel with FSX so have an idea of the solid construction of VRinsight kit. As an early adopter of this bit of kit, I am very pleased with it. The EFIS is completely controllable as is the MCP. All EICAS pages are selectable, Cancel & Recall works, and the Radio portion tunes the RCP....I use it every time I fly PSX on my PCs and couldn't imagine not having it. Indispensable for me. Your needs/mileage may vary. Thanks Carl for your feedback. The Euro Pound rate at the moment makes it an attractive buy. I just need to sneak the purchase past the accountant ;-), and sell my current solution, MFD Cougar Panels. Thanks for your interest Graham and to Carl for an enthusiastic response! Just a heads up: During the last weeks several of the encoders on my panel started spiking (e.g. turning the ND range knob one click produced several commands). The problem should be solved with better quality encoders on newer builds by vrInsight according to an Avsim forum thread. How old is your unit? Mine is about 1 year old... And no spiking at this time (fingers x'ed). Lmk if you make any progress please!